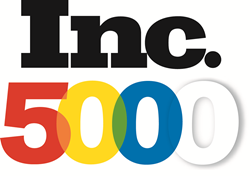 Customer Contact Services has Made the Inc. 5000 List for the 5th Time. Minnesota Based Call Center, Customer Contact Services is reaching new markets, and looking to the future. For the fifth time, Customer Contact Services is being recognized as one of America’s fastest growing companies. Minnesota Based Call Center, Customer Contact Services, makes the Inc. 5000 list of America’s fastest growing companies for the fifth time. In business for nearly 50 years, CCS has grown to over 150 employees with offices in Eden Prairie, MN; Daphne, Alabama; Orlando, Florida; and Kankakee, Illinois. CCS couples state-of-the-art equipment with a superior skilled staff to become a seamless extension of their customers’ culture and processes. Whether their customers are looking for an answering service, call center help, e-commerce support, tiered-technical support, event registration assistance, client questionnaires and surveys, or something else — CCS has the ability to meet any challenge--24 hours a day, 7 days a week, 365 days a year. For more information or to find out if the services that CCS offers may be a good fit for your company, please call 888-832-5397 or email us at sales(at)yourccsteam(dot)com.